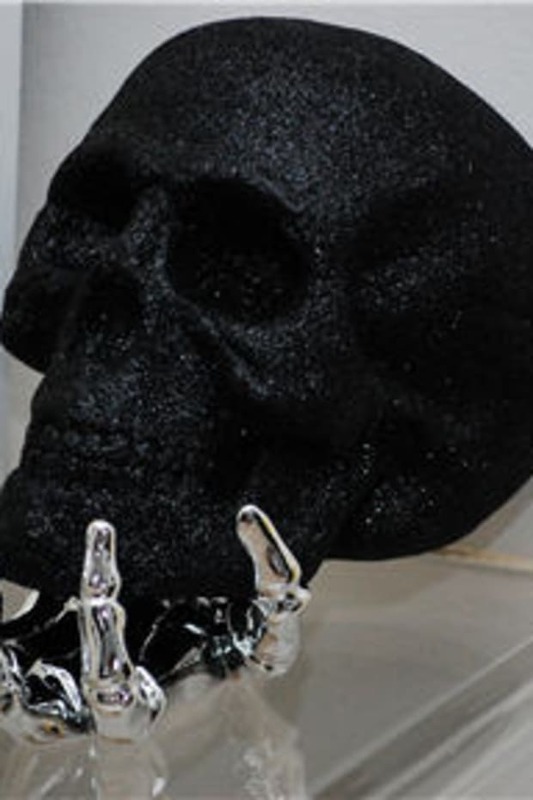 Even though I started to voice my excitement for Halloween, oh about two weeks back, now that it&apos;s officially October, I think it&apos;s finally acceptable to share how I&apos;ve begun to decorate. 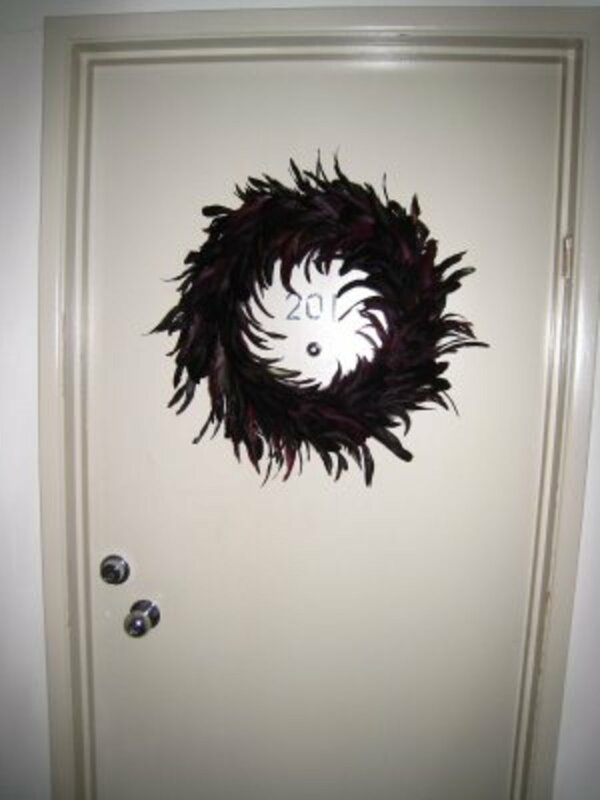 In an unpredictable blend of black and dark reds, this feather wreath is such an ominous addition to the front door. I won&apos;t be getting any trick-or-treaters this year, but at least my place looks like it would be a prime location for scoring some good candy. 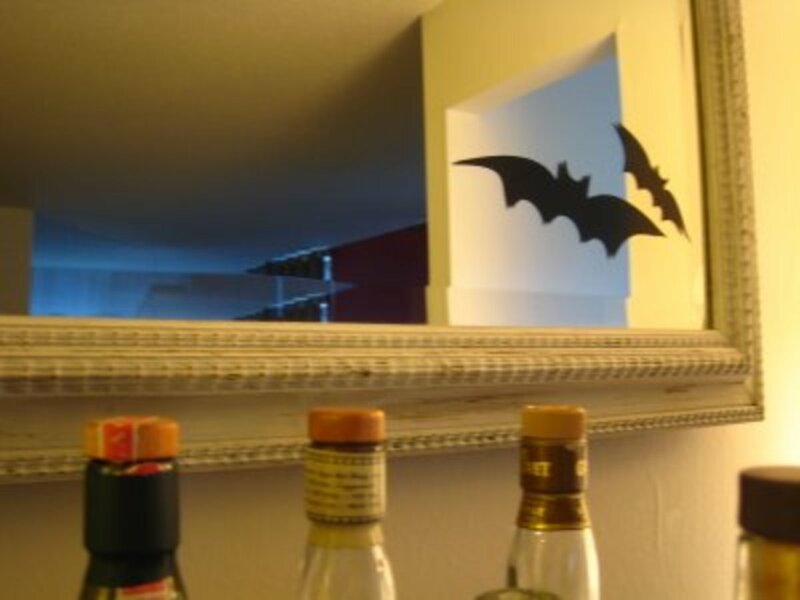 Martha Stewart does everything right, including these bat mirror clings that are a subtle addition to my living room. 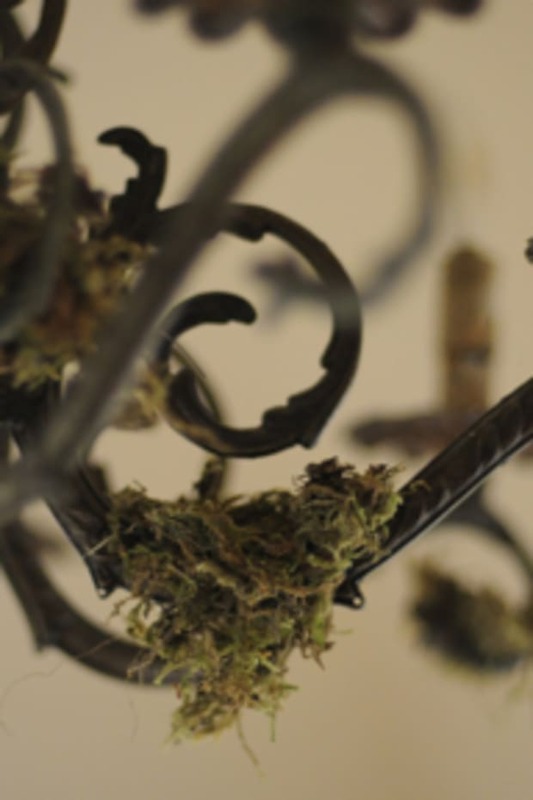 I love the eerie effect they create and since they&apos;re made of black vinyl, I can use them year after year. 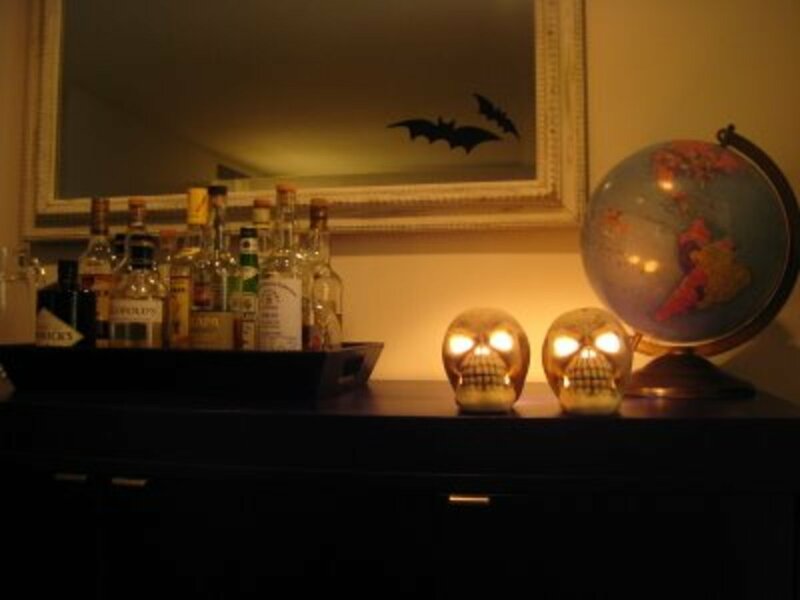 These skull candle holders aren&apos;t available online, but I&apos;ve been enjoying their playfully creepy ambiance for the past few nights. 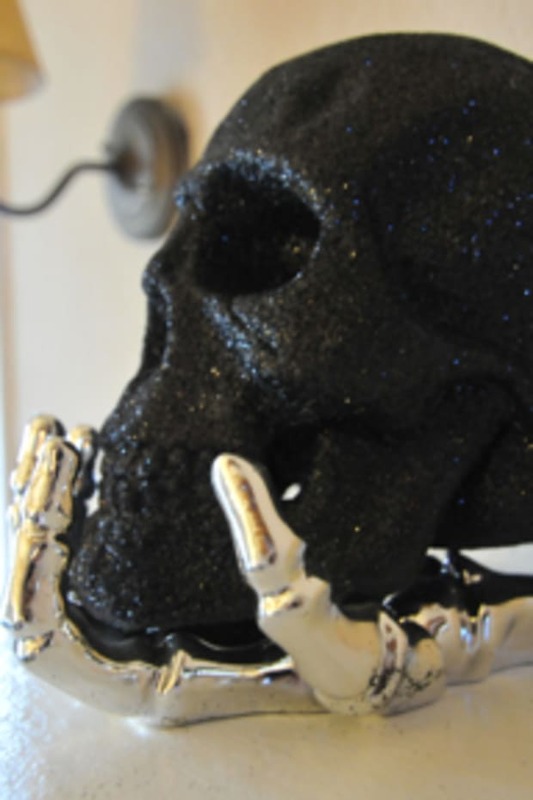 Z. Gallery&apos;s metallic skull and Pottery Barn&apos;s glitter skull are other fabulous options, but since they&apos;re on the pricier side, I might just have to stop in after the 31st for a post Halloween sale.